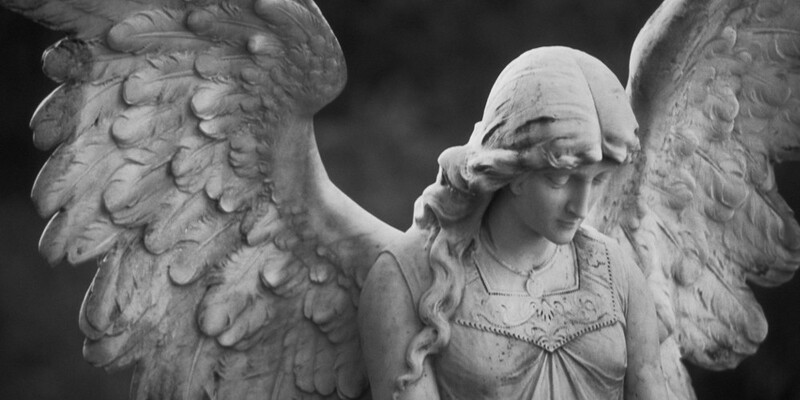 In yesterday’s Part 1, we took a look at the religious views on angels, if you missed it you can read it by clicking here. Today we will look at angels from the psychic perspective. Angels are often confused with enlightened spirits because they ARE enlightened spirits but they exist at a higher vibration than spirits who are elevating. All spirits, all life, is growing, maturing, increasing in consciousness. The more human beings comprehend about who we are as people, the higher we elevate in understanding. That is what is meant by vibration (think about light and sound being ‘waves’). Being further along in one’s life path, angelic spirits are not always recognized in human form. Those who have learned to perceive angels often describe them as being shapes of colors because that is the best they are able to view them from the lower-in-vibration, earth plane. This idea is quite similar to how some people are able to detect the auras (energy pattern) of people. Others say they can “feel” the presence of angels when detecting them. One of my favorite angelic connection tools when all seems lost in communication with a human counterpart is what I call the “Angelic Telegraph.” When all else fails in solving a life situation with partners, family, friends, lovers, children, co-workers, etc. and the ego just will not get out of the way using anger, blame, unforgiveness, hatred or fear, use this… it works. Before you go to sleep or meditate, ask your guiding angels to go talk to their guiding angels and help them remember that we are all soul family who love one another and want to support each other. You can then relate the perfect loving outcome you hope for in that conversation. Your angels who help guide you will take the message and in dream state, help the other person or people involved remember. No bitchin’! Just loving outcomes. I have never seen it fail to make positive changes in a seemingly impossible situation. According to many sources, especially those who claim to communicate with angelic beings, angels are elevated spirits that may or may not have been in human form at one or multiple times. They may also choose to act as spirit guides and often remain nameless. Angels may also appear in a masculine or feminine form by choice. Jesus seems to clarify that we ARE the angels with other translations using the words (equal to the angels) who have lost our first estate, meaning, while earthbound, we do not know who we really are. That would make the human race, in a sense, fallen angels. That could be why it was written that the great prophet said we will be like the angels (who are not fallen), one day. Perhaps, Jesus was trying to help us comprehend an amazing truth: We are the fallen angels who have lost our way and will be restored. This restoration is the resurrection, which means a raising up from the dead. Whatever your beliefs are about angels, the one consistent thought form is they were created to exist in the vibration of love and light. Weaving themselves down through the dimensions in order to connect with you and give you guidance and love. They find it difficult to do that for you if you don’t believe you deserve their help. They cannot raise your vibration without you doing your part so that you can receive them, meaning learning how to love yourself as they do.